Ryan Roberts opted out of a minor league deal with the Cubs at the end of spring training. The Red Sox signed infielder Ryan Roberts on Monday and added him to the 25-man roster. Roberts, 33, is likely to replace third baseman Will Middlebrooks, who was placed on the 15-day disabled list with a calf strain Sunday and could be out for up to three weeks. The Red Sox sent Brock Holt back to Pawtucket after recalling him on Sunday. Neither Holt nor utility infielder Jonathan Herrera has much experience at third base. Roberts has a split contract. He’ll earn a $1 million salary if he’s in majors and a smaller amount if he’s sent to the minors. Roberts was assigned No. 7 and was expected to be available for Monday’s game against Texas. To this point, there has been no interest in bringing back shortstop Stephen Drew, but if the Red Sox’ infield problems continue, it may not be out of the realm of possibility to re-sign him. The Red Sox have also bypassed Brandon Snyder, who is at Pawtucket. Roberts, who was with the Tampa Bay Rays the last two seasons and has also played for Arizona, Texas, and Toronto, opted out of a minor league deal with the Chicago Cubs at the end of spring training. 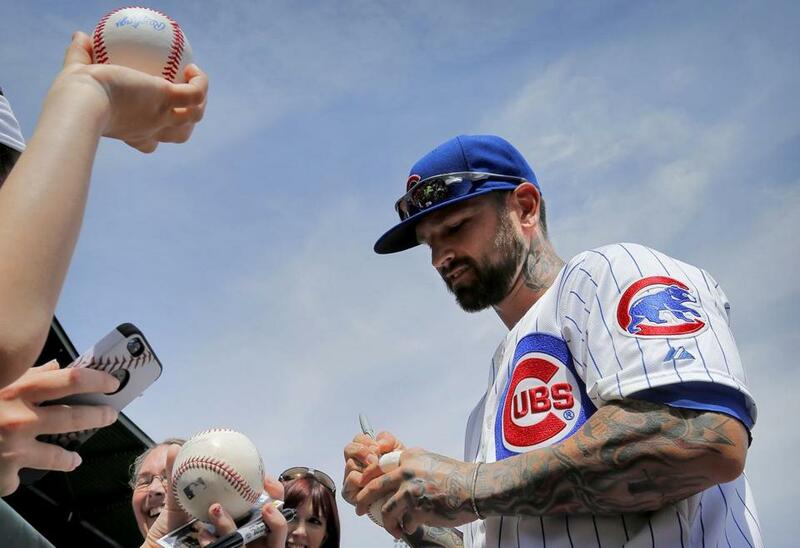 Roberts, who is known for his abundance of tattoos, was very good in 2011 with the Diamondbacks, hitting .249 with 19 homers and 18 stolen bases. He’s considered a dirt-dog type player who can hit lefties. Said one scout, “When he gets hot, he’s a pretty good player. When he’s not, it’s not pretty. Follow Nick Cafardo on Twitter at @nickcafardo.